I am not sure when Part 4 of the Spring 2016 First Impressions series will be published since a number of shows still haven’t aired. I am debating whether I to post it without covering a couple of shows or whether I should wait and post it when the final show is out. And given that I am planning on changing my writing format for this season, I’m not sure if or when I’ll ever get around to writing my thoughts on some of these late, late shows. 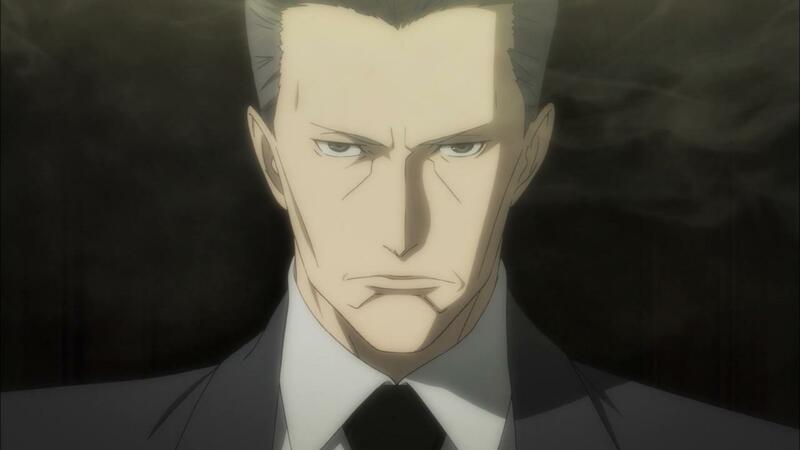 My first admiration with Joker Game begins with its ability to fine-tune its tension and to manipulate its suspense. Scenes that seem certain are revealed to be deceptions, relationships that seem genuine are dishonest, and the promise of drama, espionage and mystery are already paying off in just one episode. To build off that first point, my second admiration with Joker Game is its setting and aesthetics. 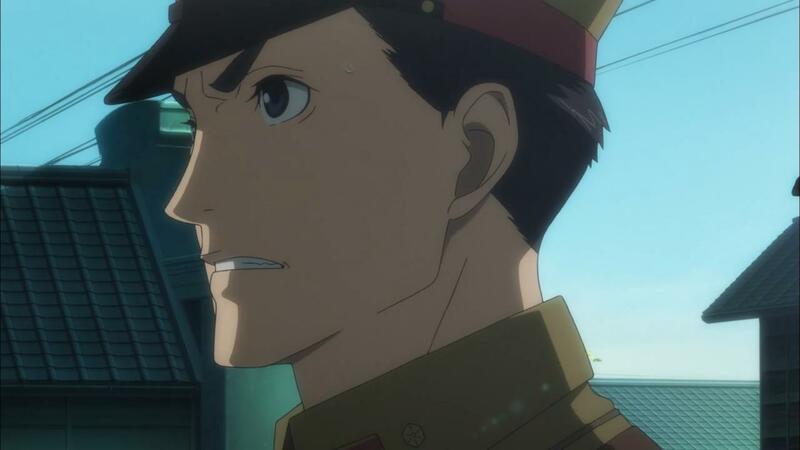 As Joker Game is an espionage anime, and one set in urban Japan in 1937, there needs to be an astute level of detail in the setting to really capture the moment and atmosphere of the period. 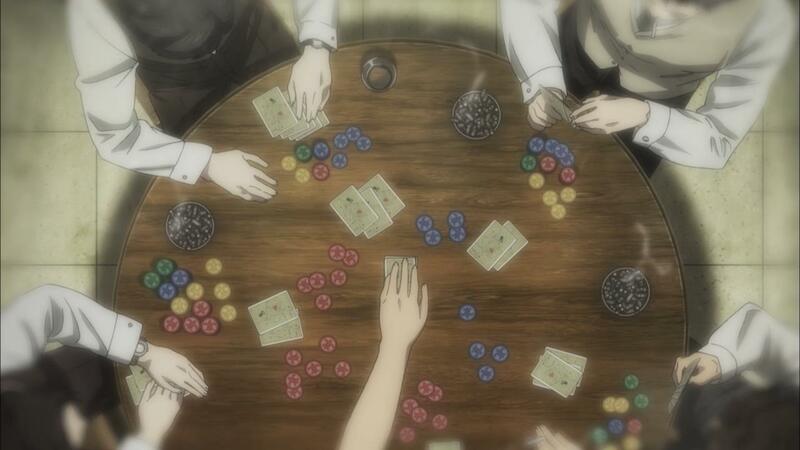 But beyond the clothes, architecture, and technology, Joker Game captures the political and social feel of Japan just after the start of the Second Sino-Japanese War. Not only that, but I adore the use of lighting and shadows in Joker Game. Given the setting, it is understandable that Joker Game is dark, but it’s the use of light and shadows that has me enchanted. It aids in the visuals and style of the series and helps complement the earthy, wooden tones that the anime utilizes well. And though I could continue with my respect for this series, I do, actually, have some reservations. For one, I do worry about the spies as characters. I am fully aware they won’t have any backstories for which to base their roles on, as they are spies, but I am curious how or if they will develop and potentially turn against each other. Joker Game may not necessarily be character-driven, but espionage stories depend heavily on the spies themselves as characters. That isn’t to say that there is anything wrong with what happened in the first episode, but it is uncertain at this point. Still, Joker Game has been one of the most delightful and impressive new anime this season, and one that I am eager to continue for the rest of this spring. 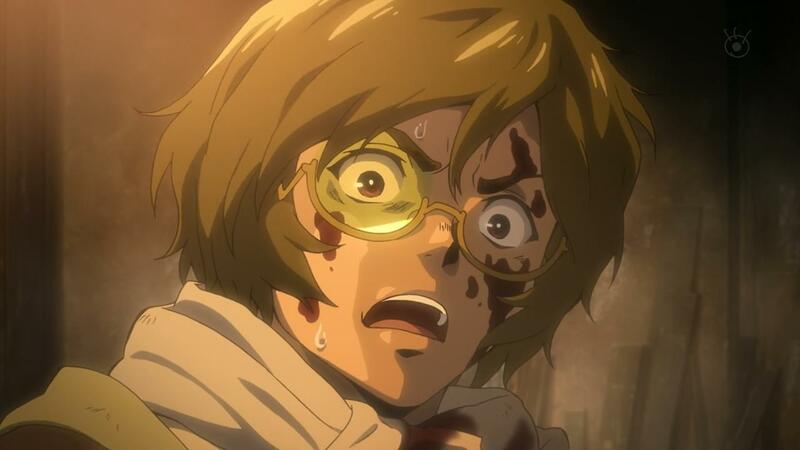 Given that Shingeki no Kyojin and Koutetsujou no Kabaneri share the same director, studio, and primary staff, it shouldn’t be surprising that Iron Fortress will be viewed as the little brother to the titanic blockbuster that was Attack on Titan. In fact, Iron Fortress has earned itself the nickname ‘Attack on Trains’ given the unprecedented number of similarities between the two. 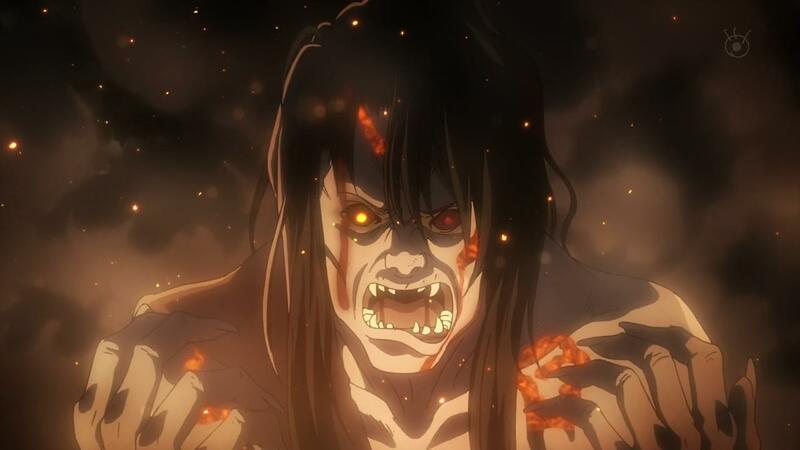 And while this may seem like a negative to many, viewing the anime as derivative or a copycat, I am actually thrilled and excited to see it parallel Titan in so many ways. 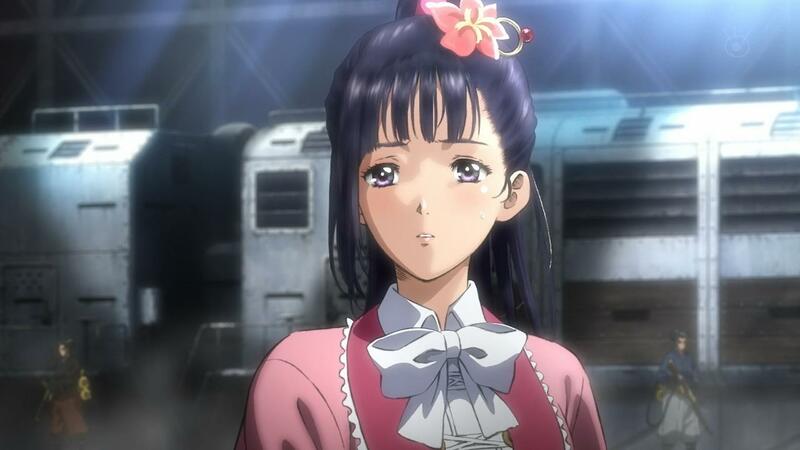 The main reason why I am delighted is that Koutetsujou no Kabaneri is an original anime, not an adaptation, and will allow Tetsurou Araki and his staff to experiment on a series with creativity, origination, and imagination that was otherwise limited with Shingeki no Kyojin. Iron Fortress is the payoff for such a masterful and magnificent job with Attack on Titan, and I am eager to see what they will attempt to do with their own story in their own hands. Of course, many of the elements of Kabaneri are the same as Titan, but that is more a positive than a negative to me. With that in mind, we already understand and appreciate a number of aspects of the anime, such as the astonishing fight sequences, the dystopian and dehumanized setting, and the bold and thorough art and animation. Really, what’s not to like with a series such as this, especially if you were a fan of Shingeki no Kyojin or anything with steampunk technology or gigantic trains that run over hordes and hordes of zombies every day? 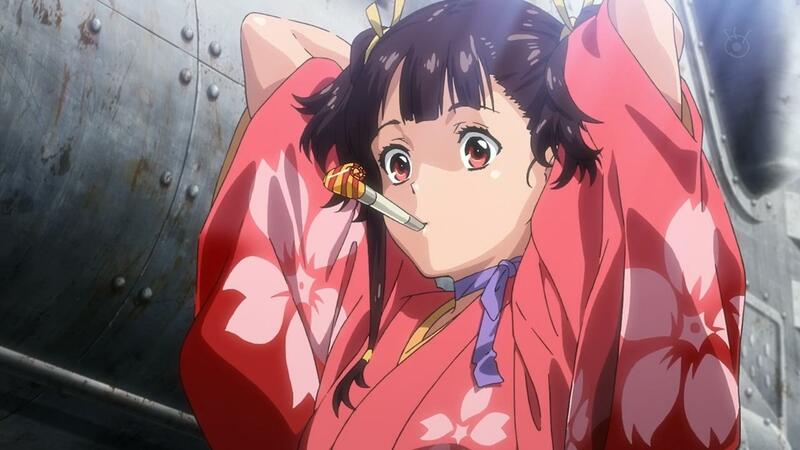 Koutetsujou no Kabaneri should be one of the most impressive anime of the season and one of the most spellbinding, too. 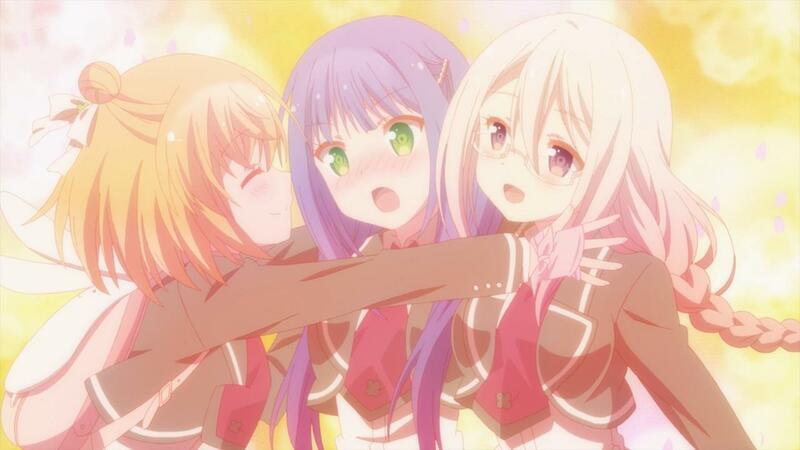 The PV for Sakamoto desu ga? was promising, an encouraging video with snazzy, jazz tunes playing over a flamboyant highschooler posing and flying around and doing all sorts of ‘cool’ things. But, as is often the case with anime, you have to wait until the first episode or two to really know what you’re getting yourself into. 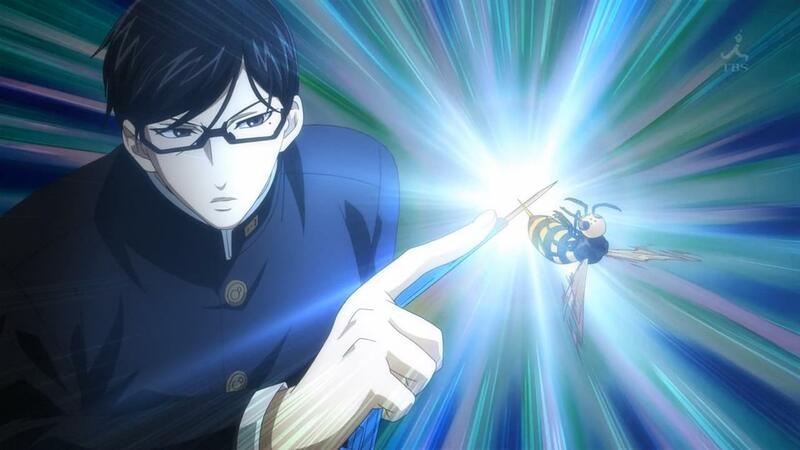 And, with Sakamoto desu ga?, you’re getting easily one of the best comedies of the year. It didn’t take long for me to fall in love with the humor of this series (hint: it was the bird skit) and I am sincerely interested to see where this bizarre comedy will go next. The other elements of the anime, such as the characters, art, story, sound, blah blah blah, don’t really matter when the comedy and humor is this good. And fortunately for us, the characters, art, story, sound, and even the blah blah blah are all great, too. Sakamoto desu ga? 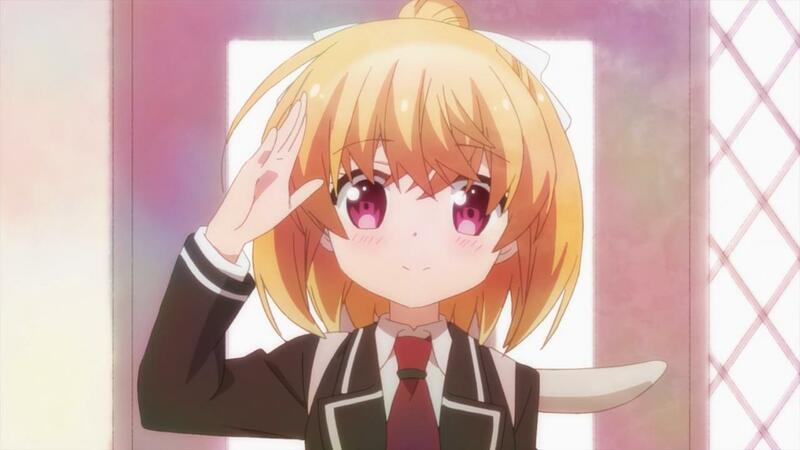 is already a strong choice for Spring 2016, and I am expecting the series to continue on this positive trajectory. 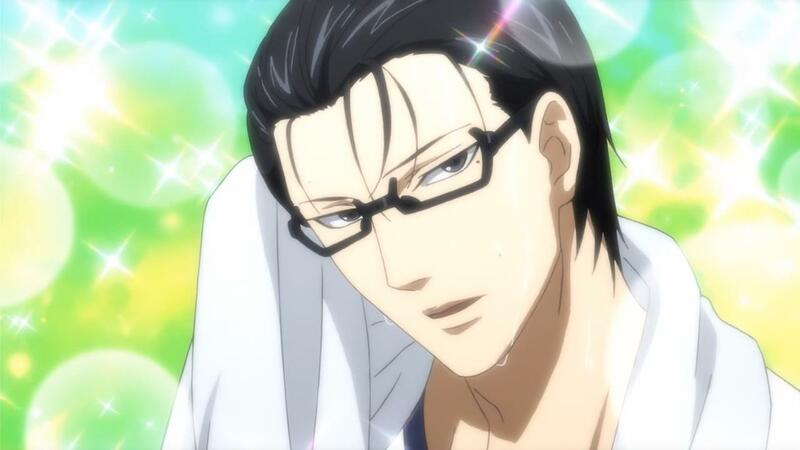 If you don’t know what I’m talking about, allow yourself to be charmed and swayed by Sakamoto. Ok, before I begin, why did they call it a ‘man-eating tiger’ when the tiger never killed or ate any people? Am I the only one that caught that inconsistency? 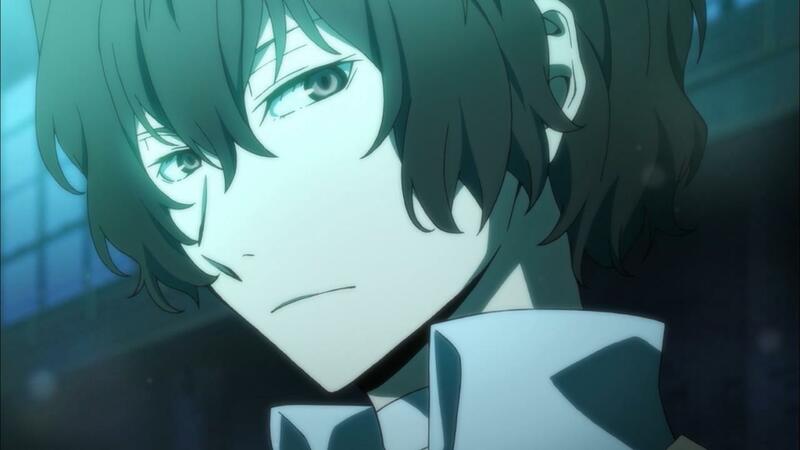 Anyway, Bungou Stray Dogs is a problematic anime for me because while it technically passes the basics for keeping an anime, I never really found myself enjoying it at any point in the first episode. 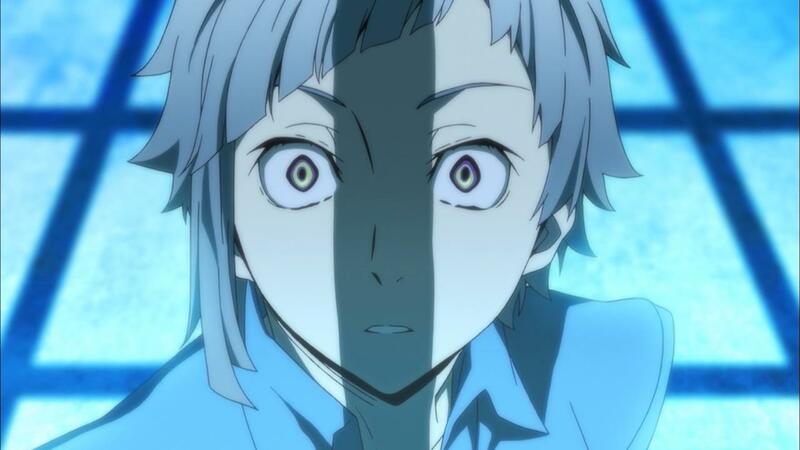 Stray Dogs certainly has the visuals to be a watchable anime, given its design, direction, color and lighting, not to mention great animation that complements the humor and the action. Too bad the humor is banal and bland. The animation tries so damn hard to make the scenes funny but you can’t make the audience laugh when the jokes are just… awful. 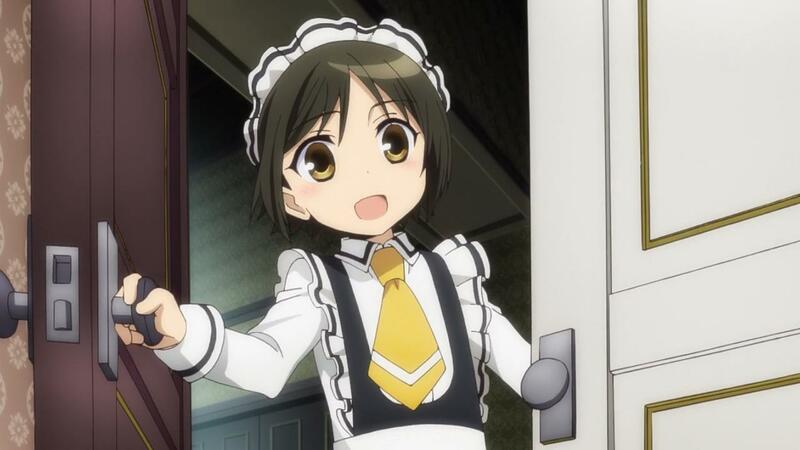 And considering that fact, I don’t think I’ll want to keep it given that I don’t see the comedy ever improving in this anime. 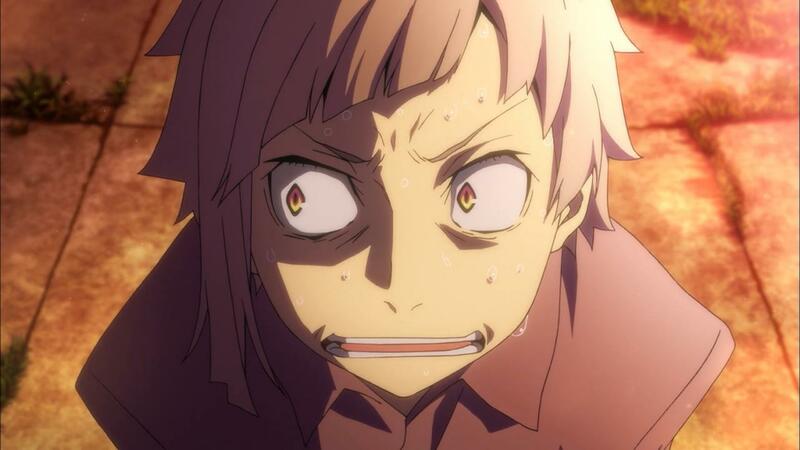 However, given that Bungou Stray Dogs is here, I am willing to give it another episode since the ending introduced three new main characters and there is a faint hope that they can replace the three that ate up most of the screentime in this episode. I am leaning on dropping it, but I’m feeling benevolent and am curious where the series will go with its superpowers and detective story elements. 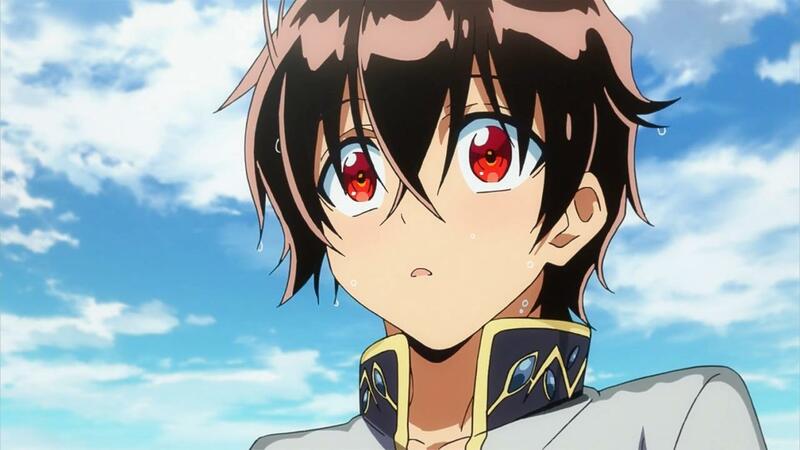 Sousei no Onmyouji is a decent anime, but it doesn’t have the intangibles to keep it, especially in light of all the other anime airing in Spring 2016. 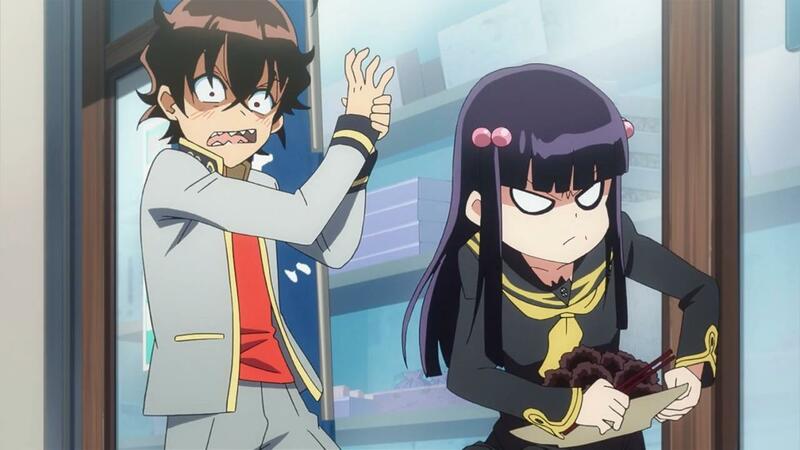 Whereas Twin Star Exorcists bedazzles with its gorgeous art and exquisite fighting, perhaps one of the better examples this season, the core of the anime feels incredibly weak and generic. The most incompatible aspect of Sousei no Onmyouji is its characters, where Rokuro and Benio mix like oil and water. Separate those two parts and you’re left with pretty decent characters, but not together like this. It just doesn’t work for me and the story and scenario don’t help either. And according to my notes following the episode, there was only 1 good joke, but I can’t even remember it now which shows how much of an impression it left on me. Overall, the first episode was underwhelming, uninspired, and clichéd. And with so many other shows outperforming this in week 1, this is an easy choice to drop it now. I, uh… I wasn’t expecting this to be 24 minutes. I also wasn’t expecting a story and characters with backstories or anything. 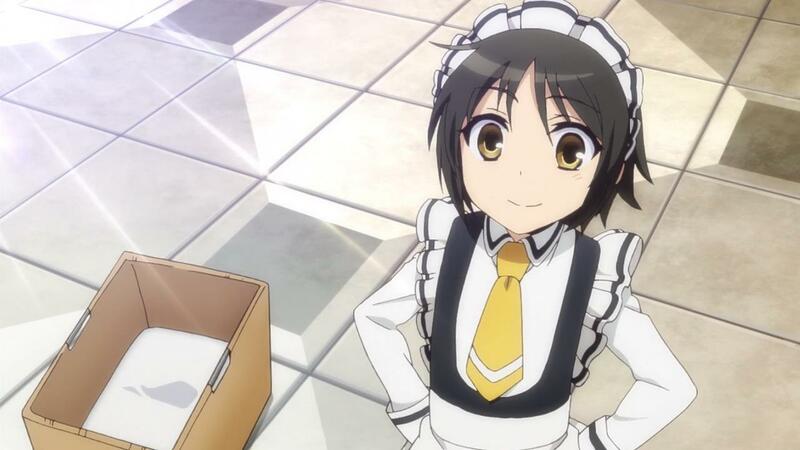 I probably should’ve done more research on this anime and prepared myself accordingly, but I was expecting a simple, short comedy instead of a full-length TV anime. 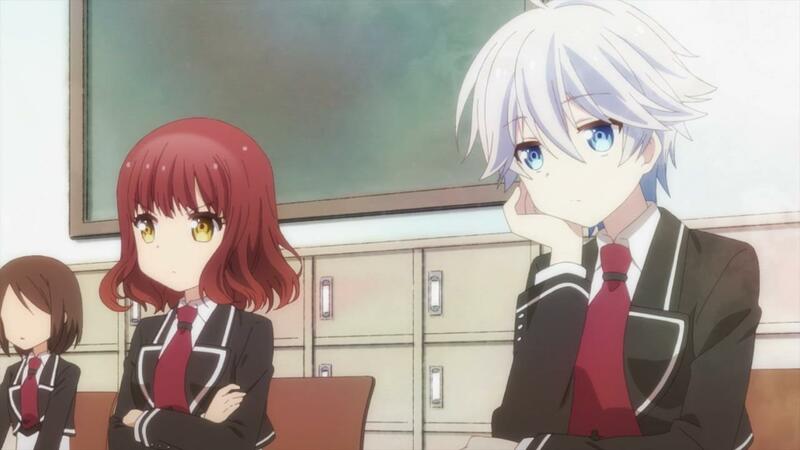 I found myself bored and tedious about halfway through and didn’t even finish the first episode. If this were 3 or 5 or even 10 minutes per episode, I’d be willing to give this a try, but there is no way I could sit through a full season of 24-minute episodes of this, especially when I couldn’t even complete one 24-minute episode. 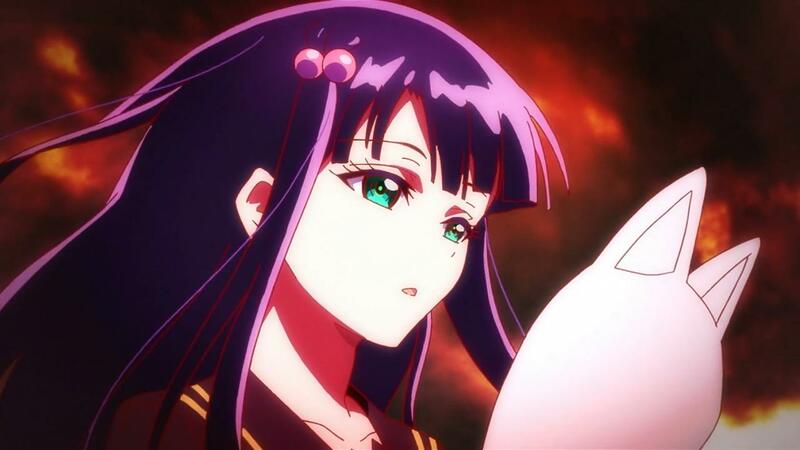 This entry was posted on April 12, 2016, 12:25 AM and is filed under 2016 Spring, Anime, First Impressions. You can follow any responses to this entry through RSS 2.0. You can leave a response, or trackback from your own site. 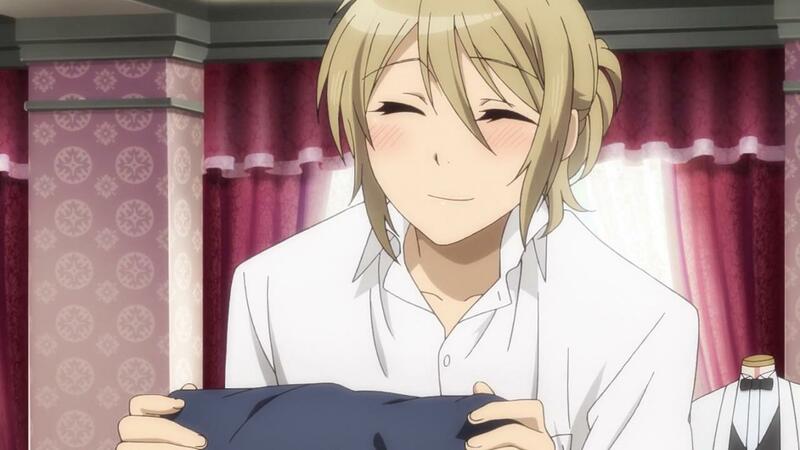 I enjoyed ep 1 of “Sakamoto desu ga?”. A fun comedy seems like all I can handle this season. (Last season I didn’t have time to follow even a single show). Sorry to hear you couldn’t follow anything last season. But, at least you know what’s good and what’s not, so hopefully you can go back and watch some of the shows you missed. 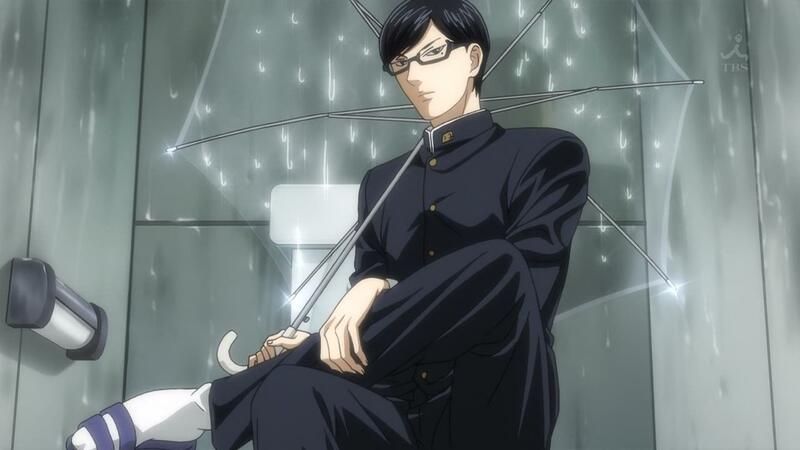 As for Sakamoto, you are picking up my favorite comedy of the season.